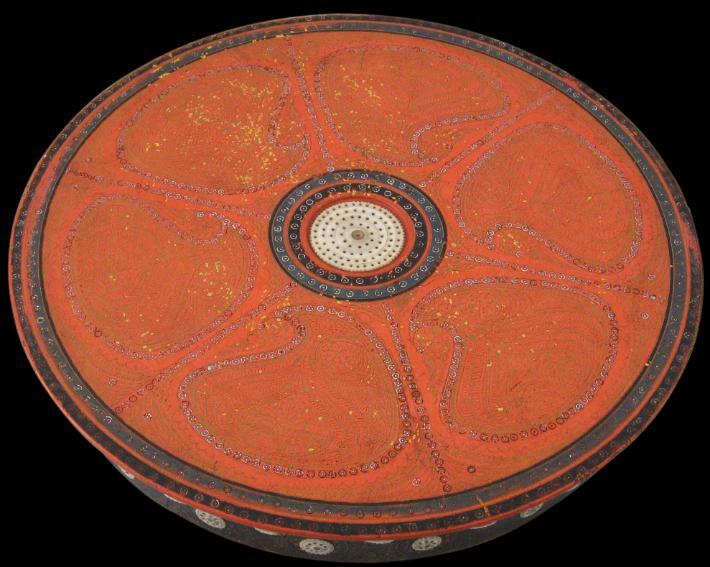 This large and spectacular circular box comprises three parts: a base, a middle tier and a cover. 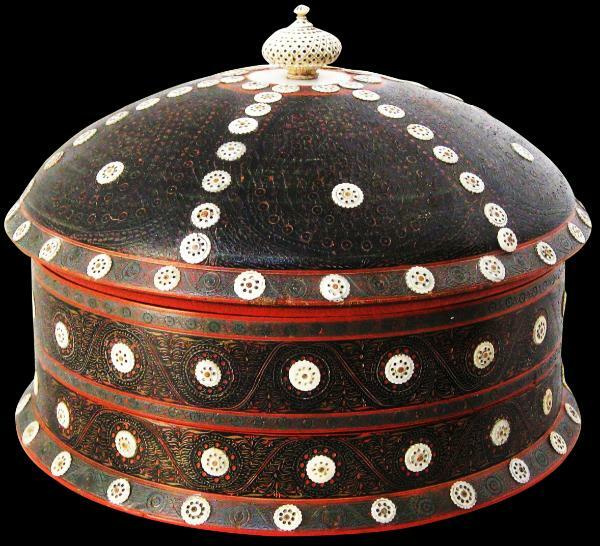 It is lacquered and inlaid with copious silver (or some other white metal) and ivory. boteh-like motifs intricately infilled with foliate scrolling. 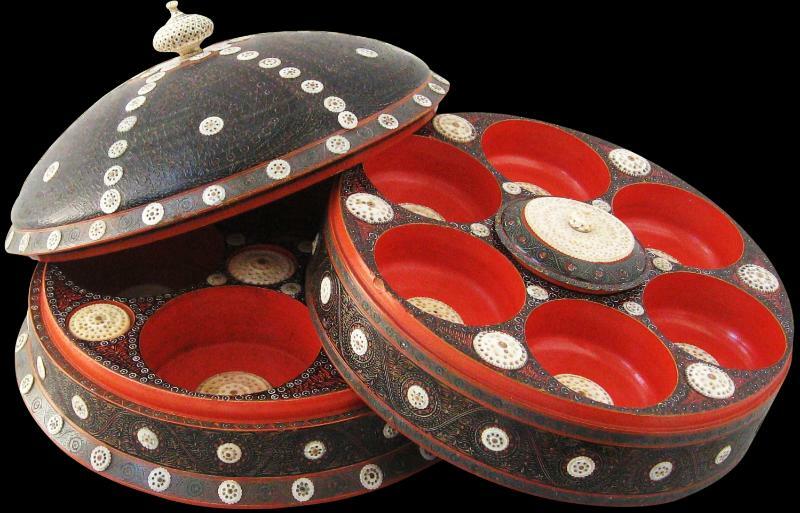 The interior of the cover is in red polychrome. The interior is particularly remarkable. 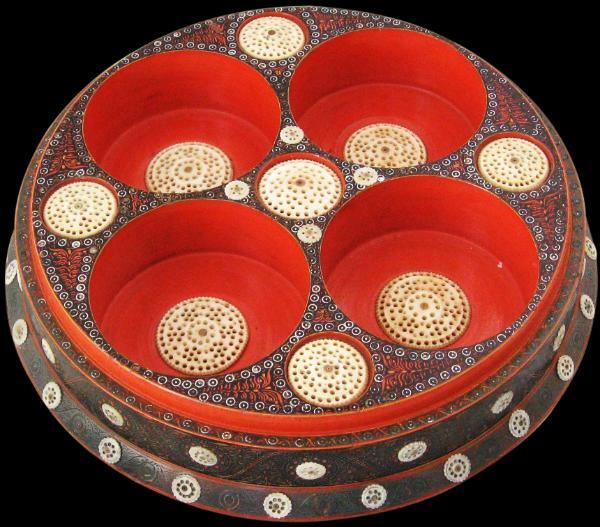 The middle tier has seven wells, the bases of which are each decorated with an open-work ivory roundel. The middle well is fitted with a cover that is itself decorated with a pierced ivory roundel that is topped with a carved ivory finial. 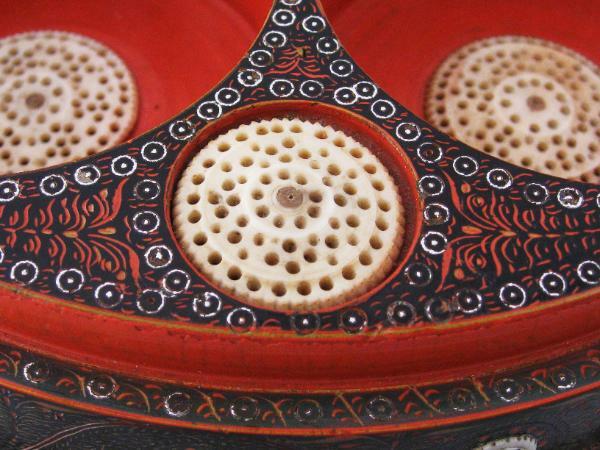 The spaces between the wells are also decorated with similar ivory roundels and silver inlay. 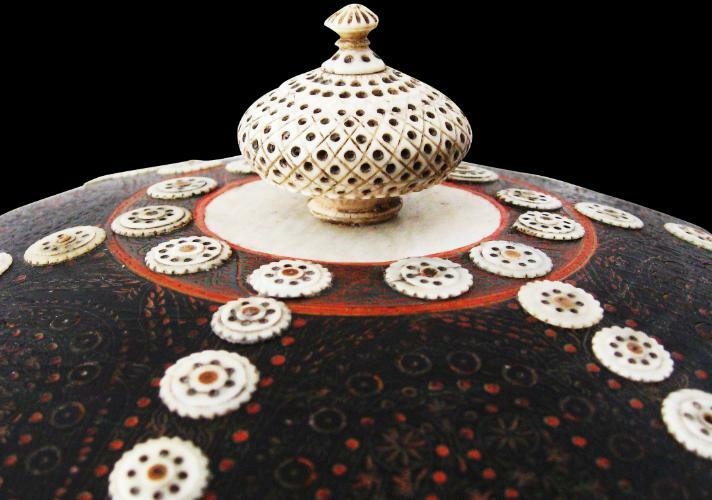 boteh motifs traced out in silver inlay and infilled with engraving around a central pierced ivory roundel. The external sides of the base and the middle tier are engraved with scrolling foliate motifs and decorated by more pierced ivory roundels. The precise purpose of this box is unclear. Its considerable opulence suggests it was destined for a wealthy or aristocratic household. 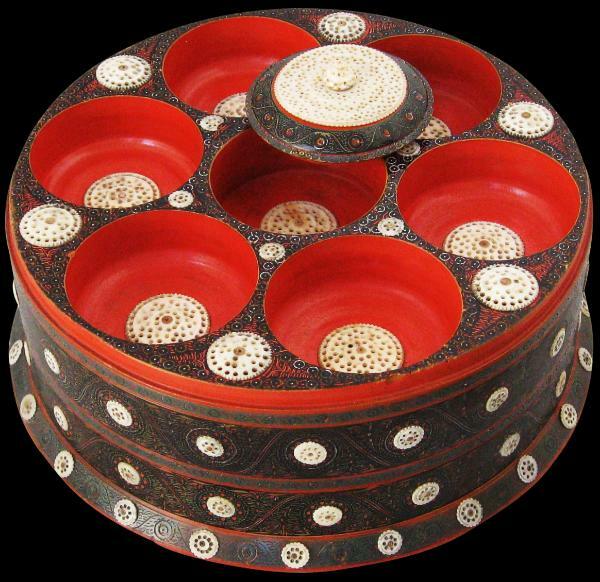 Possibly it was used as a games box to hold gaming chips, or as a sewing box for the ladies of the household to contain their threads and sequins for applique work. The condition is excellent given the item’s age; all the ivory roundels are intact, although some have minor losses.